Apple Danish with Crumble Topping – Easy Dessert That Celebrates The Flavors of Fall! 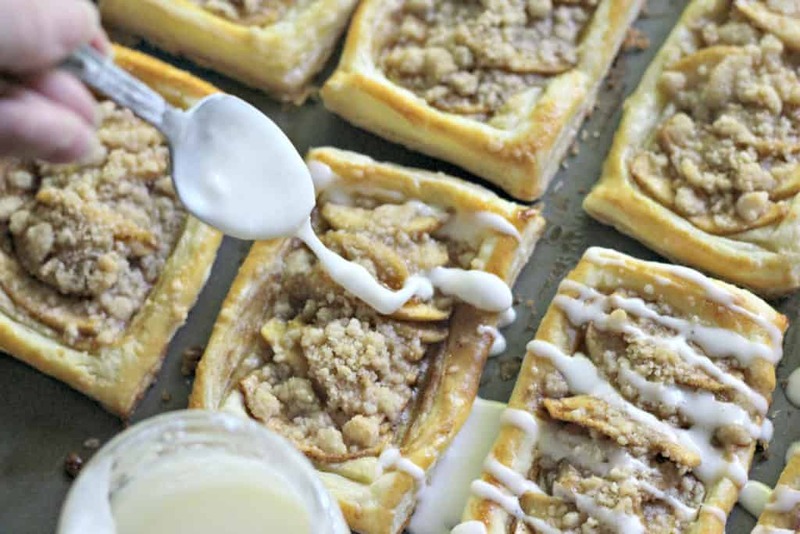 Apple Danish with Crumble Topping We are a participant in the Amazon Services LLC Associates Program, an affiliate advertising program designed to provide a means for us to earn fees by linking to Amazon.com and affiliated sites. There are no better flavors on this earth than the flavors of fall. 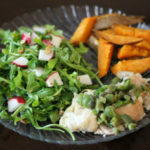 Whether or not you agree, you cannot deny that the flavors and smells of fall are unique and invoke a certain feeling. The cooler weather, school, leaves falling, it’s all SO wonderful! 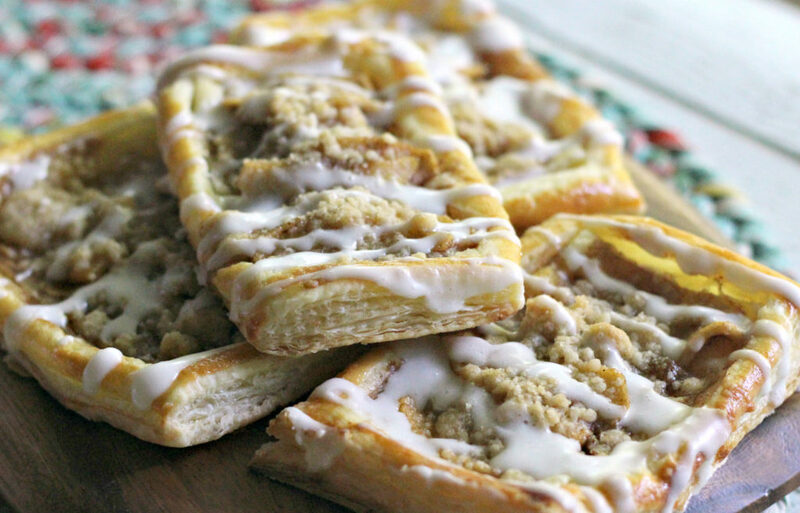 The flavors and smells of cinnamon, apples, pumpkin…amazing! 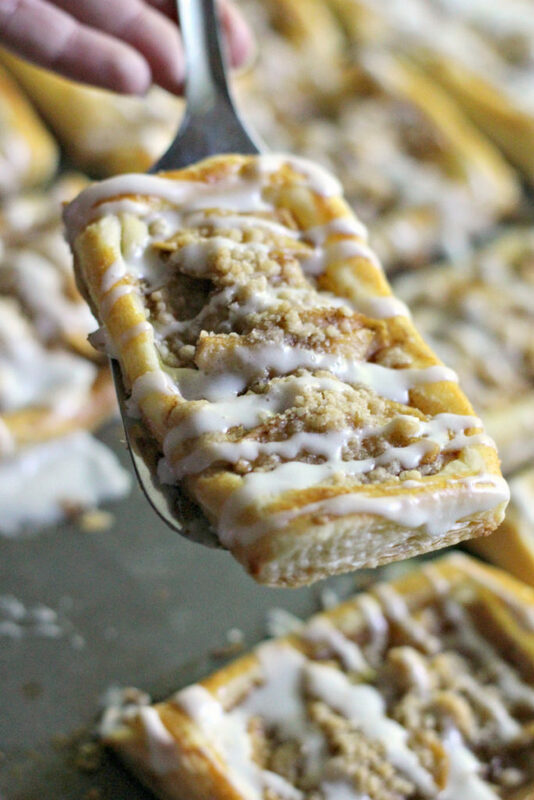 My favorite fall recipes, other than these delicious apple danishes are Instant Pot Cinnamon Apples and Apple Cranberry Crumble. 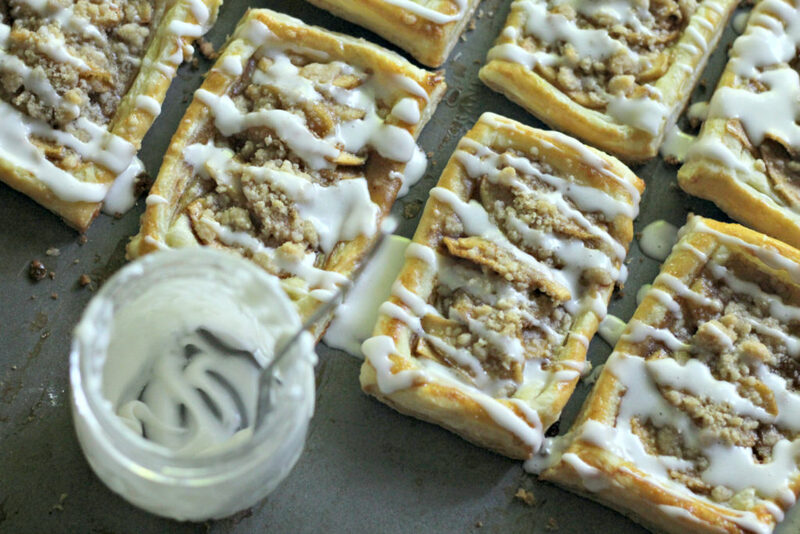 Bake on parchment paper to make clean-up a breeze. 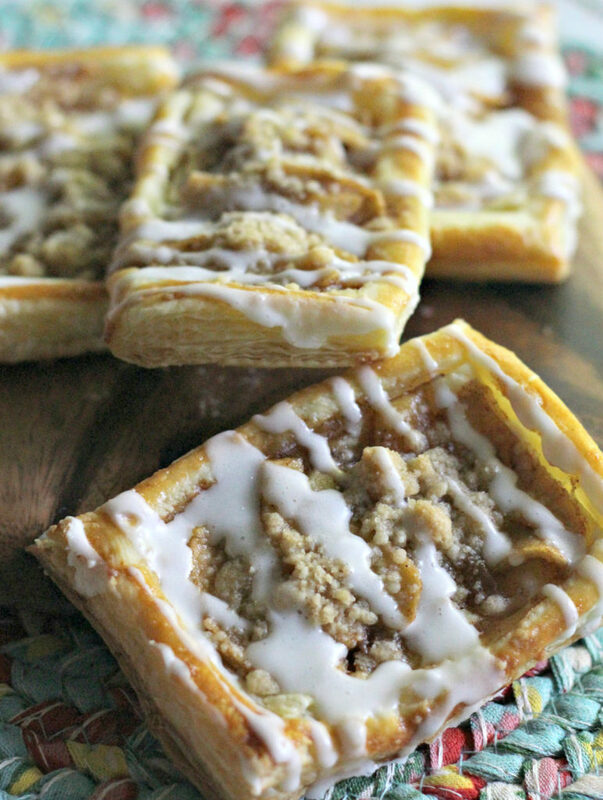 Using boxed puff pastries makes this recipe much easier and quicker, but not an less delicious! 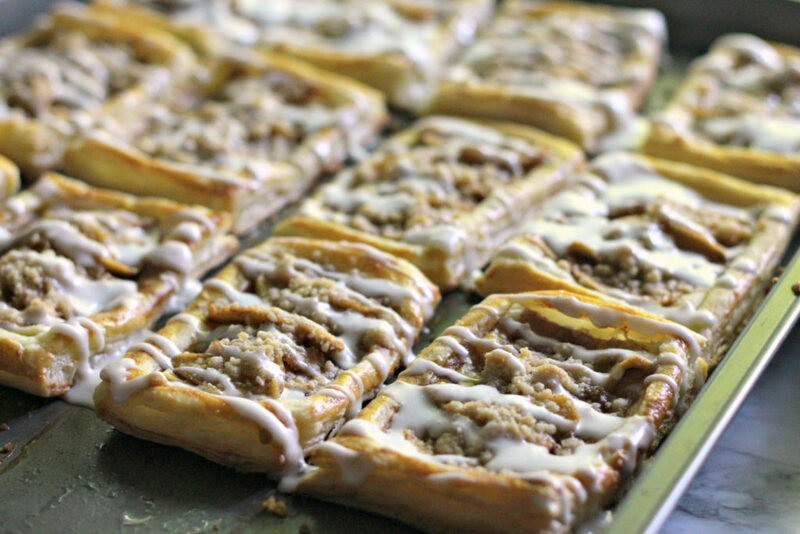 Take a place of Apple Danishes to your favorite teachers or coaches to celebrate how important they truly are to you and your family! 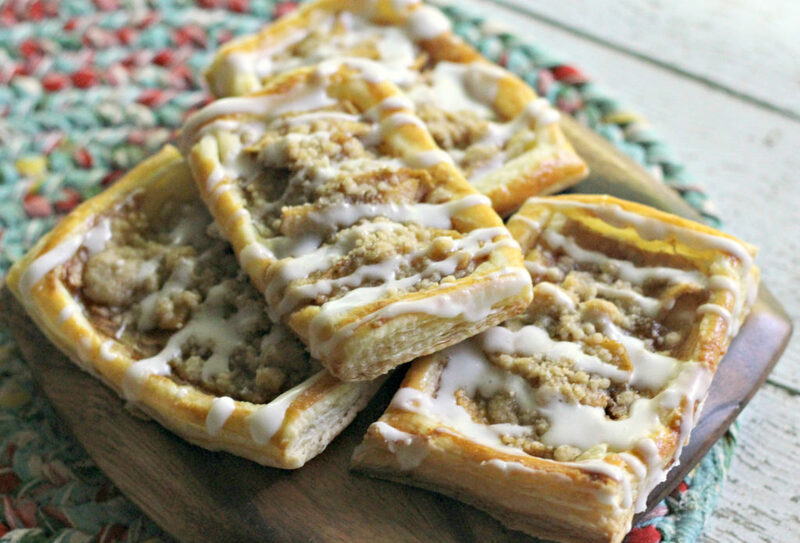 What’s your favorite fall dessert? 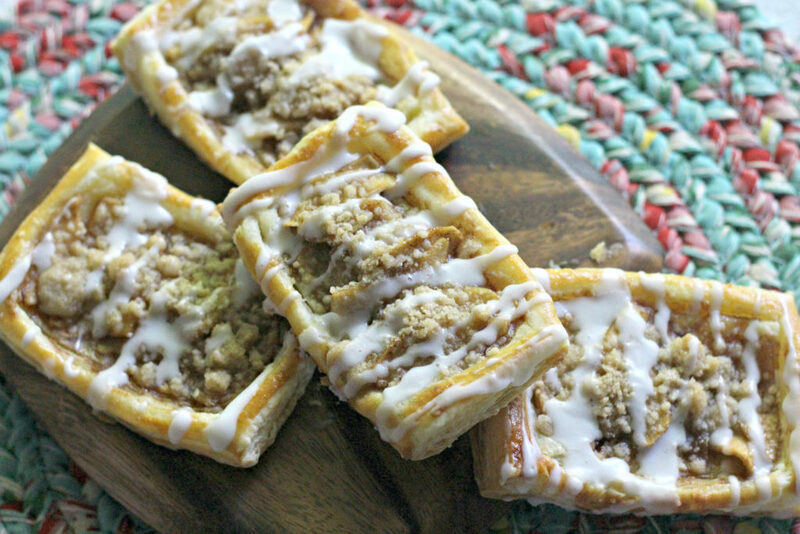 Apple Danish with Crumble Topping is a warm, delicious treat that's great for dessert or breakfast! Melt 1 tablespoon of the butter in a medium frying pan over medium heat. 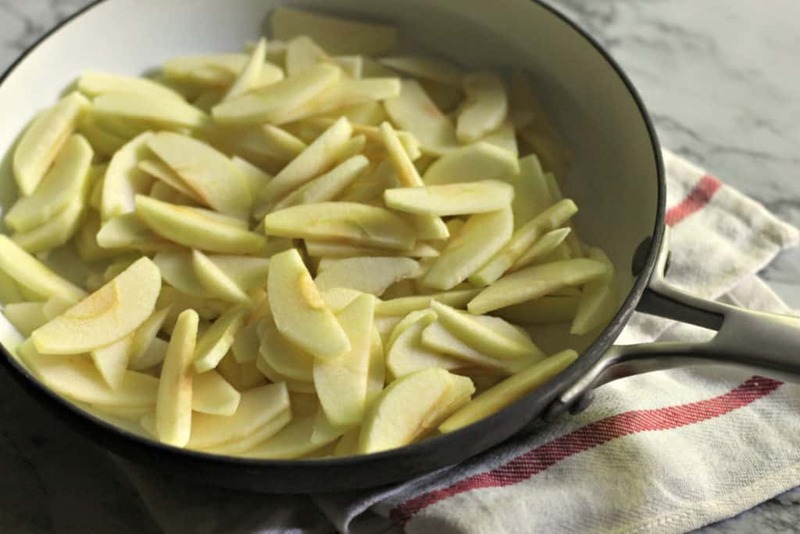 Add the thinly sliced apples to the pan and cook for 5 minutes, stirring occasionally. In a small bowl, whisk together 1/3 cup of the brown sugar, the corn starch, and the cinnamon. 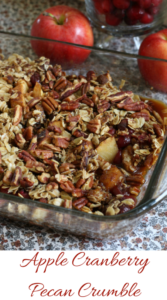 Stir the mixture into the cooked apples in the pan and cook for an additional 3-5 minutes over medium heat until the apples are softened. 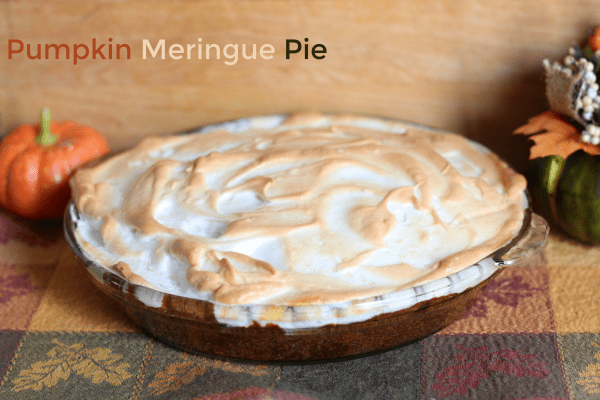 Remove from the heat and set aside to cool to room temperature. 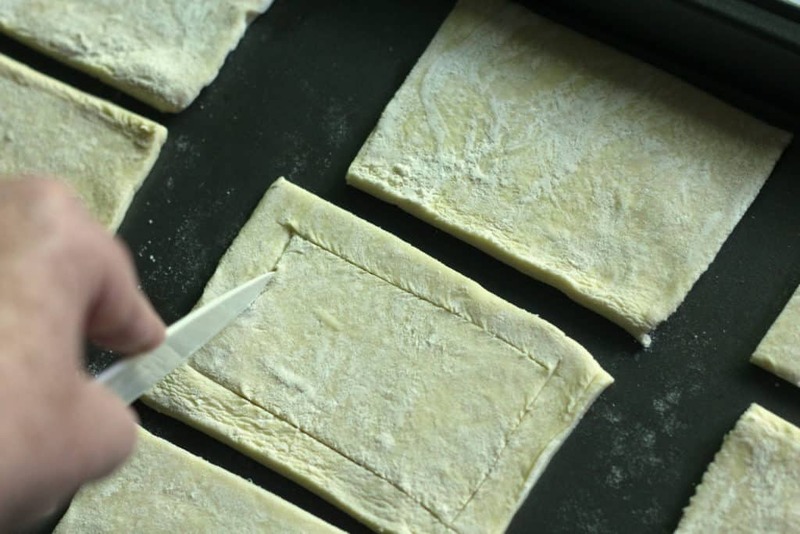 Arrange the puff pastry rectangles on a large, ungreased cookie sheet leaving at least 1 inch of space between each rectangle. 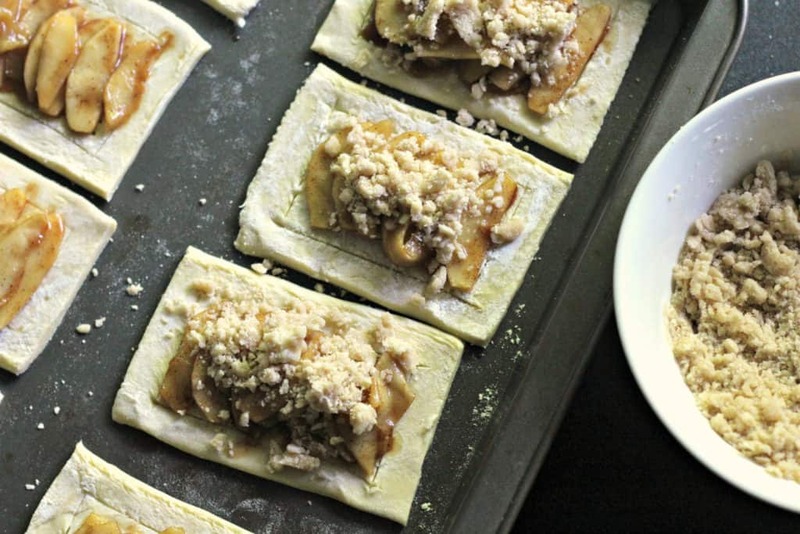 Spoon the cooked apples onto each rectangle of pastry dough. 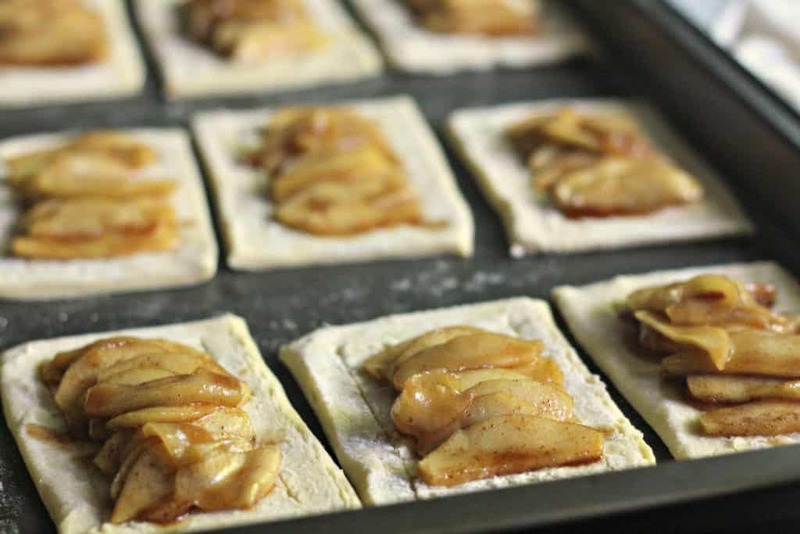 Do not place the apple filling on the outside scored border of the pastry and do not add much of the liquid from the apples. 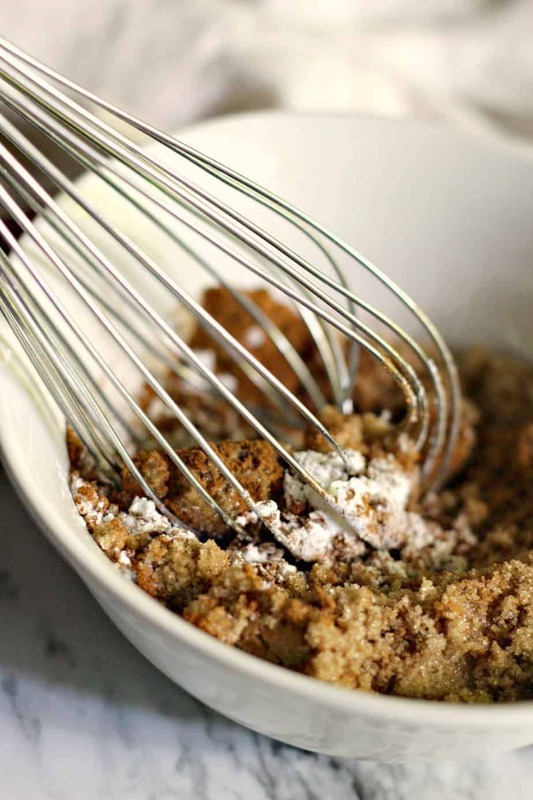 In a small bowl, use a fork to combine 2 tablespoons of butter, 3 tablespoons of brown sugar, and ¼ cup of flour. Mix until completely combined and crumbly in texture. 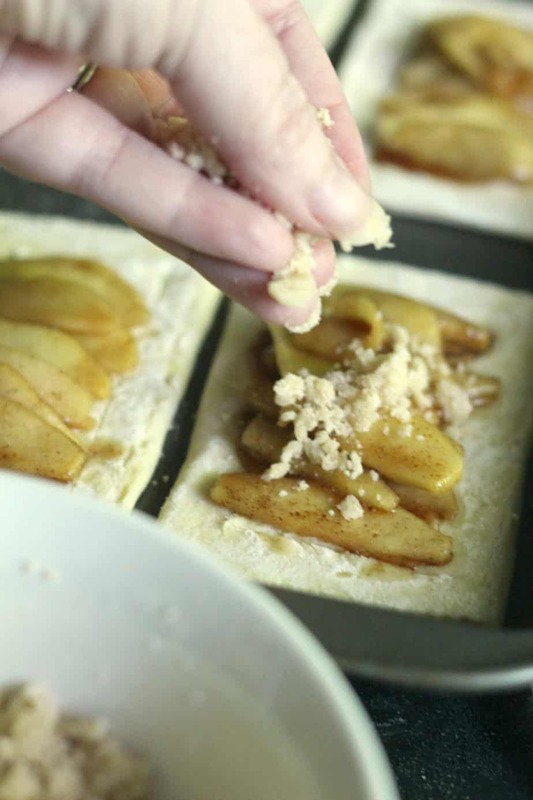 Sprinkle the crumble topping over the apples. In a small bowl, whisk the egg and water together. 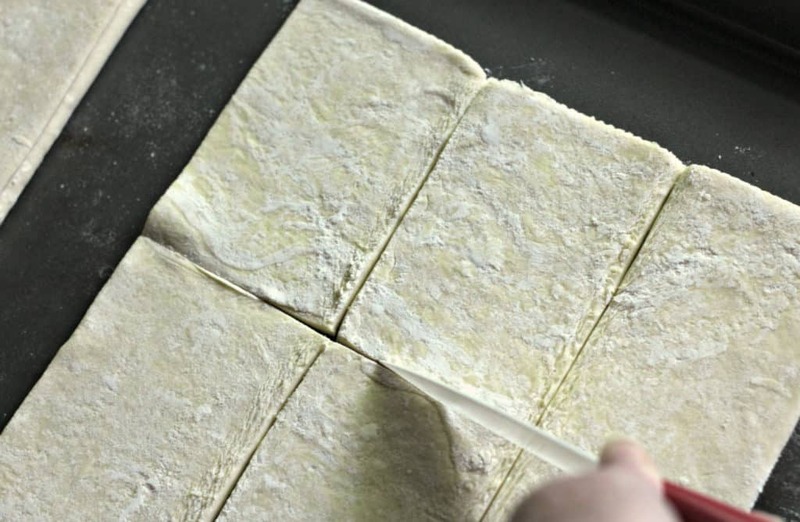 Use a pastry brush to apply a thin layer of the egg wash to the outside border of each pastry. Discard any leftover egg mixture. 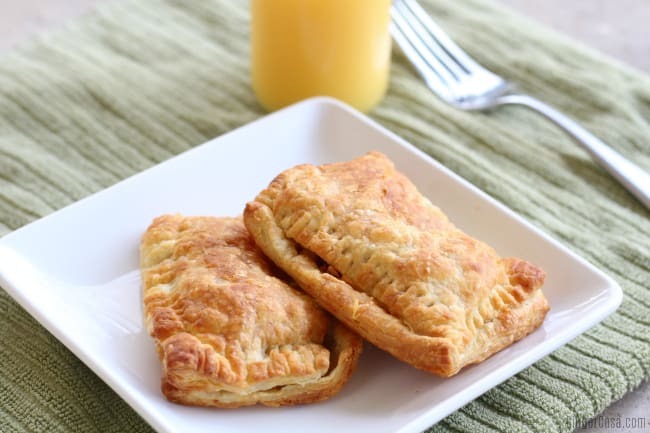 Bake the pastries at 400 for 20 minutes, until they are golden brown. 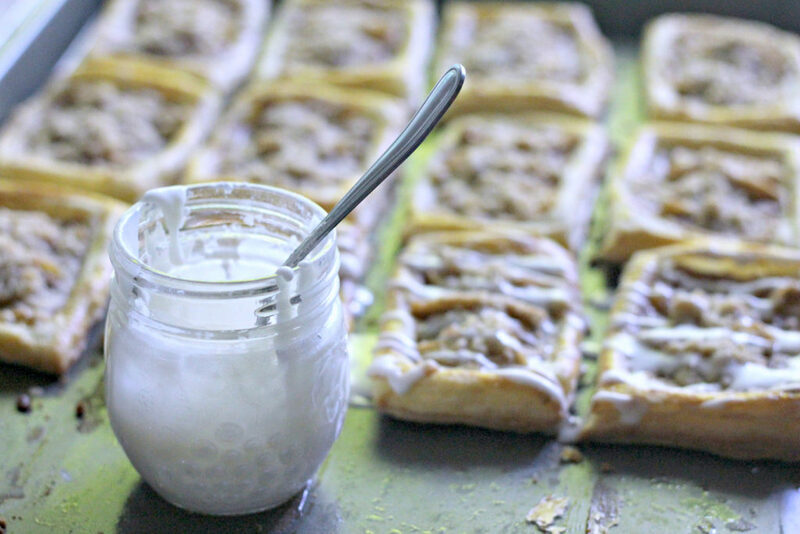 In a small bowl, combine the powdered sugar and heavy cream; stir until smooth.